It is hardly any news that Microsoft and Sony are in it the long run for the console war. PS4 has taken the lead nowadays for the Xbox One which had the major market share last year. And now the Black Friday market uncertainty has its role to play among deals and much will be decided on it for the market share of the next couple of months and both are trying hard to get their share on the board where Microsoft more -so as they have to regain the lost share. And in that stead Microsoft is improving its software response and churning out newer and better versions of its OS dashboard. Looking at the November update of the dashboard for the Xbox One, many new features were added, including integration with twitter, support for internet explorer and many performance improvements. Probably the most awaited feature was the introduction of custom backgrounds for the console. So far the new update has the market in its grasp while we bring to you another piece of information regarding the Xbox One dashboard. 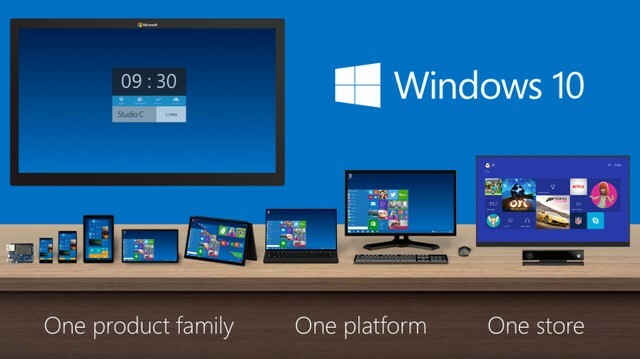 Earlier it was reported that Microsoft will be holding an event in January to showcase the new features in Windows 10. And a relative rumor also says that it will also be showcasing a new dashboard for the Xbox One in January aswell. Microsoft is expected to release an official statement regarding this event sometime in the upcoming month. The photograph above was leaked on 30th September. While these are still only rumors, this will not only let universal apps to be run on the Xbox but from the sounds of it, this is a very comprehensive update. A link of Xbox One OS to the Microsoft Windows can open many new doors for the gaming world. For one, we “can” finally see a mouse attached to and Xbox for gameplay improvement. But that’s prediction on a very imaginative level. But what is possible is the ability in Xbox to feature support for the Windows PC games and that will make the console a much lucrative offer. Just like the Alienware Alpha which used a Windows OS to showcase its capability of running 3200+ plus game, this will be possible on the Xbox aswell. Lets see what Microsoft has in the bag after this November update and hope its something to blow the Xbox fans off their seats.